Building on the occasional series that I started highlighting obscure rules or nuances, I thought I'd touch on the conundrum that is a "hill" in KOW. There have been a series of threads bubbling away on the Mantic Forum in relation to Hills, Terrain, Line of Sight and Cover. Reading through these over the past week or so I have developed a better understanding of the KOW rules and thought it worth sharing. Who Would Have Thought That Lurking Below Such Beauty Is In Fact A World Of Secrets? "The only things they [Hills] do is block LOS like other terrain and add height to a unit standing on them". This is critically important as blocking LOS and adding Height are two different mechanisms. It also means that you get what may appear to be strange contradictions. 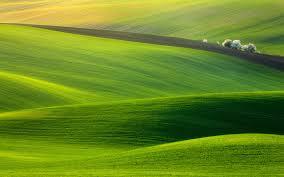 “While standing on a hill, a unit adds that hills height to its own. For example, a height 1 war engine on a height 2 hill would be height 3, while large infantry (height 2) would be height 4 while stood on the hill. Excerpt From: Mantic Games. “Kings of War.” iBooks. Therefore having the front edge of your unit's base or the unit's Leader Point on the hill does not convey any additional Height to a unit. If you want the benefit of Height to see over other terrain or units then you must ensure 50% of your unit's base is on the Hill. This is different than the rules for Difficult Terrain - where you only have to have a portion of your base in it to see or be seen. The difference comes from Hills not being Difficult Terrain - they don't hinder charges for example - but their own entity with their own rules. The key takeaway from all this is that as far as the Rules Committee is concerned, if you want the benefits and drawbacks of a Hill (increased Height) then you only get that when you are standing on the Hill (more than 50% of unit's base). Up until then you can neither see nor be seen if the Hill has sufficient Height that LOS could not be normally drawn. Personally I don't think it is the most eloquent of rules - 50% while objective is, in-game, subjective - it is nice to have a clear ruling. Hopefully any ambiguity can be cleaned up in v3.